In just few days, the world will be celebrating another Children’s Day which is always celebrated in Nigeria - May 27th of every year. Children’s day is a holiday which is dedicated to celebrate "childhood" and to honour children. Thereby on that day, tribute is paid to all children in the world. This Year’s children’s day will be spicier because Jumia has introduced a charity give-back initiative using its social media platform. Jumia in addition to other onsite initiatives will be giving back to the less privileged children in the society using their Facebook and Twitter pages. This is an initiative that will require the support of everyone on social media including you. Its very simple, All you have to do is Like or follow Jumia on Facebook and Twitter respectively. 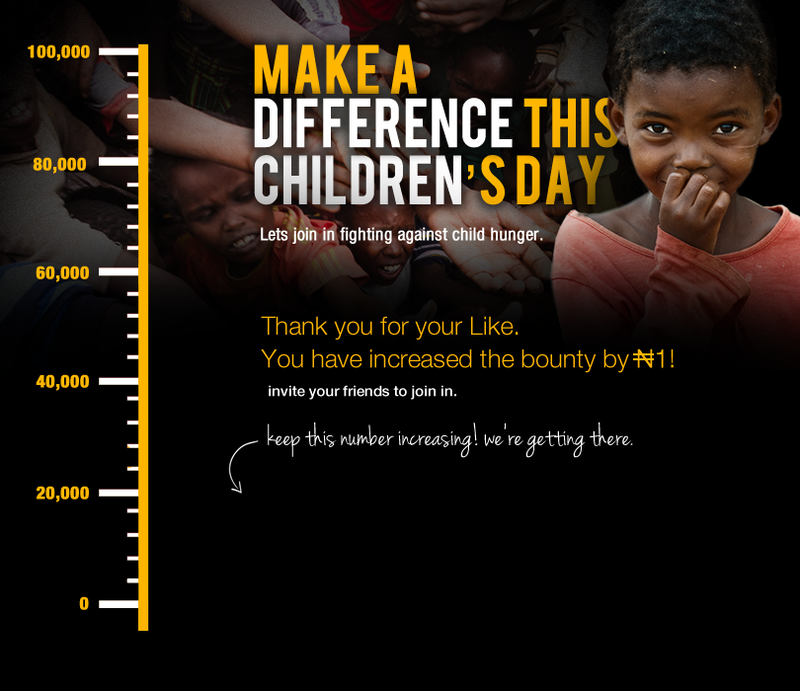 According to the number one online retailer in Nigeria, Jumia - N1 will be donated to a charity on children’s day. So, all you need to do to put a smile on the face of the needy children this Children’s Day is to ‘like’, ‘follow’ and ‘share’ this with your own friends. Do you know that Jumia.com.ng is the leading and most trafficked e-commerce company in Nigeria, according to Alexa ? 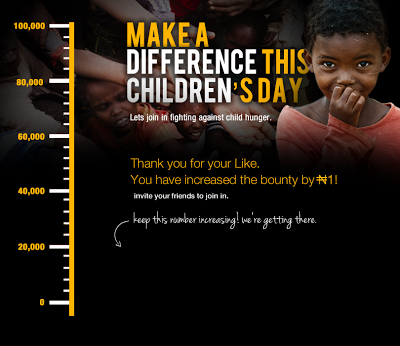 So, why not help Jumia achieve this possible goal ? Jumia.com.ng also sells a broad range of products including fashion, consumer electronics and home appliances, mobile devices, books, baby’s toys and gifts, fragrances, beauty products, games, event tickets; Visit www.jumia.com.ng to see what they've got for you.